When I was a resident I was given the opportunity to participate in a series of seminars designed to improve my teaching skills. In one discussion group the discussion leader asked us a question to which no one had an immediate answer. So he waited. And waited. And waited. Finally, one of my colleagues offered an answer that happened to be incorrect but which then sparked a lively discussion we all found quite valuable. After the seminar, I had a chance to talk with the discussion leader and remarked how unfazed he'd seemed by the silence that had greeted his question, which had seemed to stretch on for what I'd figured to be almost five minutes. He replied the silence had only lasted 30 seconds. "Wow," I said. "Only 30 seconds? It seemed like a lot more." He nodded. "It always does. But if you as the teacher can become comfortable waiting, you can make very effective use of silence. Notice it got one of you to answer." His answer got me thinking. People abhor silence the way nature abhors a vacuum and rush to fill it with the same alacrity. Silence feeds our imaginations and provokes all types of anxious conjurations. If we're clever about it, however, we can leverage these negative reactions to create positive value. Silence can motivate students to attempt to answer questions. As I learned from my experience as a resident, if you can become comfortable enduring the harsh thud of silence once you've thrown out a question, training yourself to wait far beyond the point that feels comfortable, someone will crack before you do and try to answer your question. And at least one study has shown we're more likely to remember the correct answer to a question if we're told it after guessing incorrectly than if we're told it after refusing to venture a guess at all. 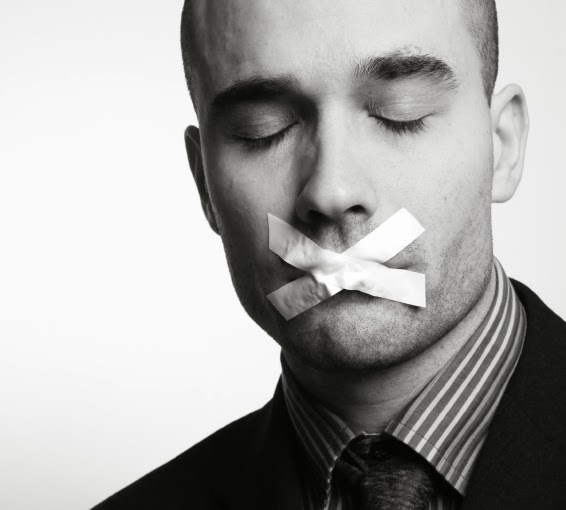 Silence can make you more effective at your job. That is, if you can force yourself to listen before giving into the impulse to speak. My wife, a commercial real estate broker, makes effective use of silence when she conducts a "discovery session" with her clients, saying almost nothing about herself or her strategies for finding them office space until after she's listened thoroughly to their business requirements and issues they find important. How else, she argues, can she be sure when she does propose space solutions that she's meeting her clients' needs? One would think every real estate broker would do this, but she finds herself continually astounded (and pleased) by how few of her competitors actually do. Skipping this step isn't limited to the business world, either. When patients refuse recommended tests or therapies, doctors typically respond by launching into arguments designed to make their advice clearer. Rarely do I see a doctor pause first to ask why the patient is refusing. But when I silence myself and listen first, I often learn my preconceived notions about why I'm being refused are wrong. One patient with a clear need for a cardiac catheterization refused it not out of a fear of possible complications as I'd presumed but because he didn't think he could lie flat for the required six hours afterward. Listening first enables me to either allay a patient's unjustified fears or understand their legitimate objections. And if an objection is legitimate, how can I decide how to deal with it—attempt to counter it or make an alternative recommendation—if I don't know what it is? The ability to listen effectively. Few do it well. Most of us engage in listening only as a way of waiting until it's our turn to speak. If you can't resist thinking about what you want to say when listening, focus instead specifically on being silent. You'll be surprised how much your ability to concentrate will improve. And if you can stop focusing on what you want to say when listening (don't worry; it won't go anywhere you can't find it) and instead concentrate entirely on what's being said to you, then silence won't just bring you a new skill; it will bring you new knowledge. Remember that listening is far more powerful than speaking. You learn nothing by saying something (which by definition you already know). Besides, how often are we really able to influence another's behavior or beliefs by what we say? A clear view into the hearts of others. Silence gets you out of the way and creates a space others will fill in with themselves. A person's personality becomes apparent in mere hours to days. Assessing a person's character, on the other hand, takes months to years. But people remain themselves at every moment. An offhand comment made when you first meet someone may be, in retrospect, obviously representative of a large character defect (or virtue). If you employ silence to listen carefully to not only what people say but how they say it, you'll find they'll give themselves away to you constantly and enable you to understand their character far sooner than you would be able to otherwise. Having had years of practice interacting with and observing nuances in our fellow human beings' expression and tone has made our intuition far more accurate than we often believe. It only requires your silence to give full play to its power. Attractiveness. People want more than anything to be heard and understood and will find anyone who provides them that feeling powerfully charismatic. Self-control. Think how much more in control you'd not only appear but actually be if your first response upon hearing or seeing something that sparks a strong reaction in you wasn't to lash out emotionally but instead to become—silent. Silence is a terrific substitute for self-control, not only creating its appearance, but over time and with practice its substance as well. Wisdom. When facing a new challenge, making silence your first response gives you a chance to reflect before you speak, increasing the likelihood that what you say and do will be on target, intelligent, and useful. Further, silent reflection promotes the appropriate use of what we call in medicine a "tincture of time." If you resist the urge to leap into action at the first moment a problem arises, the problem often fixes itself. In medicine, as in life, sometimes the wisest action is none at all. Prior to that conversation during my residency, I'd only thought about silence as something to be enjoyed in solitude and avoided in the presence of others. Now I think about it as a tool I can use to make myself more effective at my job and more understanding of others, and thereby more compassionate, wiser, and happier. Just think how the world would be different if we all spent more time listening. At the very least, it would be a whole lot quieter.